VR is one of the most interesting aspects about modern day video games. With the launch of the PS4 and Xbox One we have seen consoles carry on doing their thing by bringing big games to players, but it’s been VR that’s separated this generation from the last. Coming in the last year or so, the technology allows someone to become fully immersed into the game they are playing. This adds new layers of playability and experiences that weren’t previously available. It can also enhance and streamline traditional ways of playing, with Lucky Nugget Casino showing how VR can be used with online gambling. Immersion is key to what makes VR special and how it will make it stand out among other games. Resident Evil 7: Biohazard is the most major game to embrace VR and one that does it well. Taking a top series and making the newest instalment not only compatible with VR but making the game with it in mind. Going back to the series survival horror roots for a slow paced and scare thrilled adventure works perfect with Virtual Reality, as it will work in the system and make the horror become more real. This is especially the case as the game is in the first person, so you are inside the game, rather than taking Resident Evil’s usual third-person perspective. Likewise, Star Wars Battlefront Rogue One: X-Wing VR Mission opts for immersion rather than frantic gameplay. Traditional X-Wing games, such as Rogue Squadron, have been fast paced arcade style shooters, but with VR working well with slow games, they put you in control of the most lifelike X-Wing experience ever. You have to look around you to spot threats and you have to pilot carefully but you can’t take it too easy as there can be enemies all around you. It’s very much a sim and the VR adds things you could never previously do, with you physically needing to move to observe your surrounding and to press buttons within the cockpit. VR is not all about games though, but the immersion is just as important for other uses. Like Star Wars Battlefront Rogue One: X-wing VR Mission you can be placed in the seat of something but lean back and enjoy the ride, and that’s what a roller-coaster VR game can do. As you can see in this video, the experience can be very realistic, pushing the limits and excitement of what you feel. 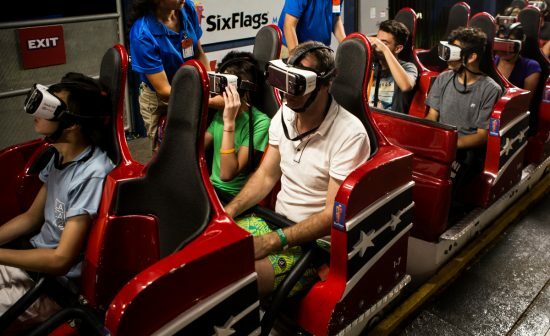 Hooking up to a VR machine may seem less stressful than getting on a real roller-coaster, but those people in the video would quickly disagree. VR could soon be a new type of fun for everyone. 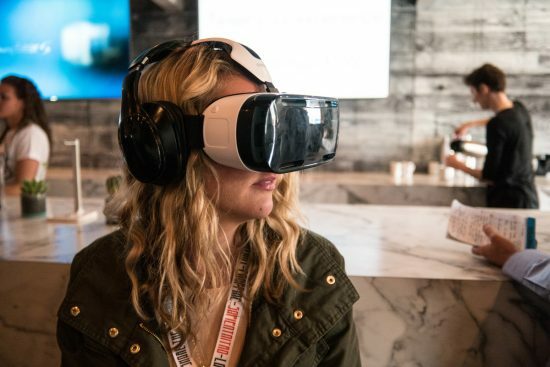 Whether it’s space combat, surviving a haunted house, a roller-coaster, swimming the ocean, going into deep space or whatever, the digital immersion will create new memories and experiences without us even needing to leave our homes.